Kawakawa (Macropiper excelsum) Excellent topical treatment for skin complaints. It has been found to be effective in the treatment of eczema, psoriasis, ringworm, cuts and wounds, boils and abscesses. Its anti-bacterial activity may also help to clear acne. 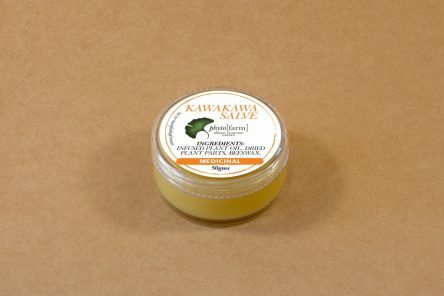 The numbing effect of Kawakawa is useful when rubbed into the gums of babies to ease teething pain.